We are pleased to announce our fall lecture series, which will feature presentations on historical landscapes. 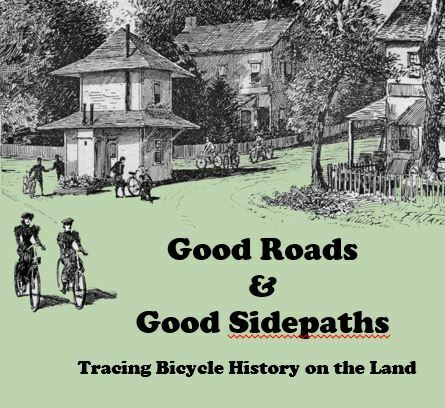 Robert McCullough will talk about tracing bicycle history on the land, and Jeffrey Marshall will look at Burlington’s once prominent ravine. Robert McCullough’s new book, Old Wheelways: Traces of Bicycle History on the Land, explores the “golden age of American bicycle touring” at the end of the nineteenth century. In conjunction with the library’s current exhibit, Cycling through the News, Professor McCullough will talk about the bicyclists who shaped and reshaped American culture from 1880 to 1900. These cyclists introduced an independent and dependable means of overland travel, propelled a campaign to improve the nation’s pitiful network of roads, swayed park planners, and even set into motion the modern engineering technology essential to the development of automobiles and airplanes. They constructed a far-flung network of bicycle paths to satisfy their exploratory impulses. Wheelmen and wheel women also assembled a substantial body of geographical literature, illustration, and photography. Their vivid descriptions of American places made them some of the country’s keenest observers of suburban and rural landscapes. Robert L. McCullough is Associate Professor of Historic Preservation at UVM, and the author of The Landscape of Community: A History of Communal Forests in New England and Crossings: History of New England Bridges. One of the most notable features of Burlington’s landscape in the nineteenth century was a deep ravine that ran from the Old North End across downtown and into Lake Champlain. Although much of the ravine was filled in by the beginning of the twentieth century, parts of it are still clearly visible today. 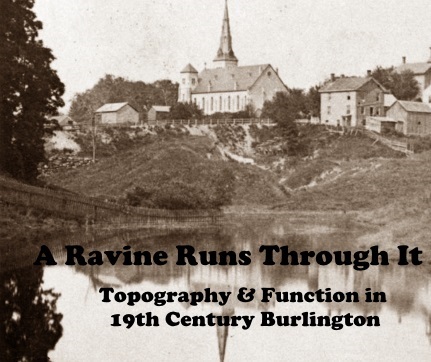 Special Collections director Jeffrey D. Marshall will discuss the significance of the ravine in Burlington’s development as a city, using photographs from the department’s extensive collection. Both presentations, which are free and open to the public, will take place in the Special Collections reading room. Refreshments will be served. For more information, email uvmsc@uvm.edu or call 656-2138. This entry was posted in Events, News and tagged bicycle history, bicycle paths, bicycle tourism, Burlington VT ravine, roads. Bookmark the permalink.